Let me ask you this, in general how would you check when your database has been created? What about, where was it actually created? Is it on the same Instance or has this been migrated(or even upgraded from a previous version)? How do you get all these details? I really can’t trust this info! So…what do we do now? 2. DBCC PAGE(database_name,1,9,3) — File 1, Page 9, dump style 3.
dbi_modDate is “2006-06-04” – This is when it was actually created. 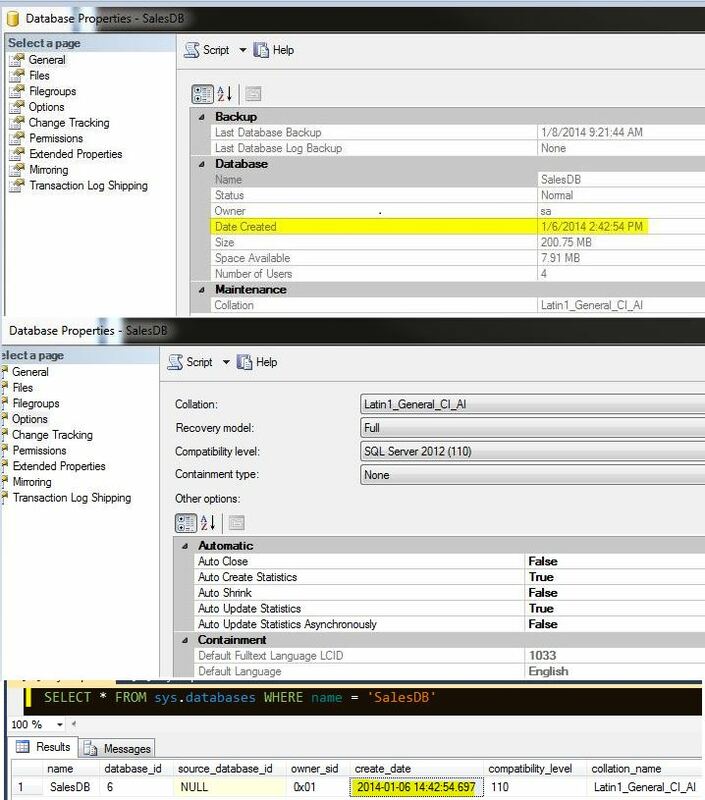 dbi_createVersion is “611” – Which is SQL Server 2005. Tadaaa…as you can see in the above screenshot, this database has been originally created by Kimberly Tripp on SQLDEV01 Instance. 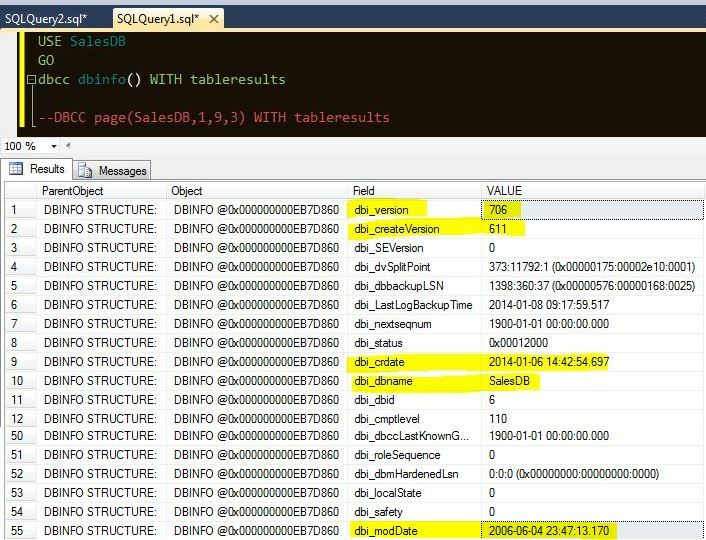 ( Yes, this is a database which I downloaded from sqlskills.com) and I learnt about Boot Page and DBINFO from Paul Randal’s blog posts long ago. Next Article Setup a SQL server Cluster Lab in your own laptop!